The cases challenging President Trump’s recent diminishment of two national monuments in the State of Utah are slated to be heard half a continent away. We believe they should be heard locally. 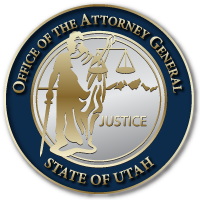 This week, the Utah Attorney General filed a friend of the court brief in Washington, D.C. on behalf of the State of Utah, Garfield County, Kane County, and San Juan County. It supports the Department of Justice’s request to transfer these two cases to Utah. (2) The cases could significantly affect Utah’s property interests in, and rights on, those lands. You can read the Amicus Brief here: Consolidated Utah Monuments Amicus Brief. This entry was posted in Recent Posts and last updated on February 21, 2018 .